Join the pups on Paw Patrol with this awesome Paw Patrol Birthday Cake. Our two tiered Paw Patrol Birthday Cake is made with delicious mud cake and decorated with each of your favourite members of the paw patrol team. 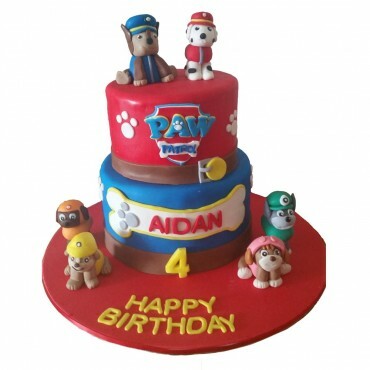 Personalise your cake for a truly special celebration.